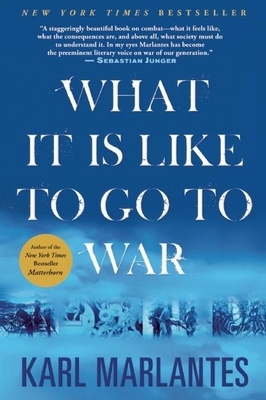 One of the most important and highly-praised books of 2011, Karl Marlantes's What It Is Like to Go to War is set to become just as much of a classic as his epic novel Matterhorn. In What It Is Like to Go to War, Marlantes takes a deeply personal and candid look at the experience and ordeal of combat, critically examining how we might better prepare our young soldiers for war. War is as old as humankind, but in the past, warriors were prepared for battle by ritual, religion, and literature--which also helped bring them home. In a compelling narrative, Marlantes weaves riveting accounts of his combat experiences with thoughtful analysis, self-examination, and his readings--from Homer to the Mahabharata to Jung. He makes it clear just how poorly prepared our nineteen-year-old warriors--mainly men but increasingly women--are for the psychological and spiritual aspects of their journey.